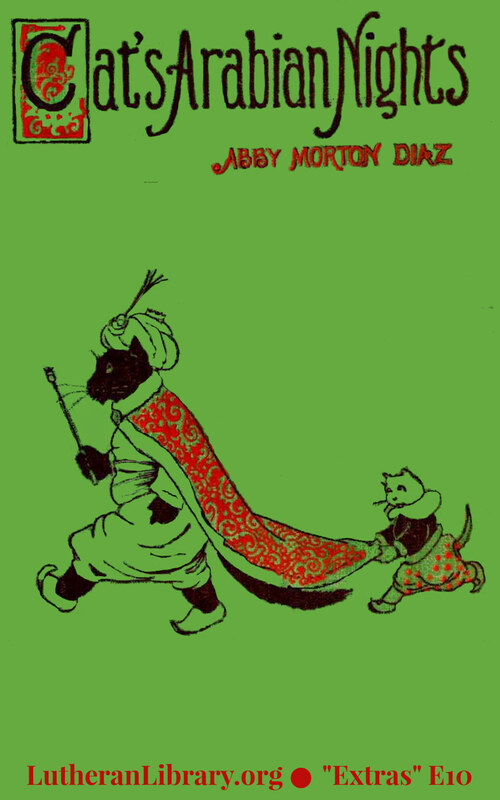 “There would have to be a Cat King, or Emperor, or Sultan,” said her next older sister. 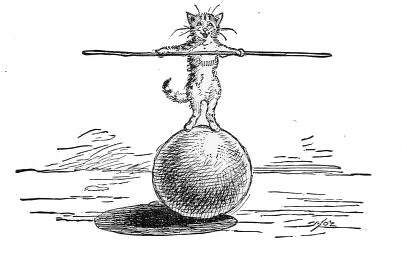 “And a Cat Queen, or Empress, or Sultaness,” said their cousin Joe, the sailor. “And she would have to go on, and on, and on, and on, and on, and on, and on, telling stories in order to save her own life,” said their cousin Lucia. “Oh yes! Yes! Do! Pray do! Won’t you do it? Say you will! Say you will!” cried many voices. Cousin Lucia said she was willing to try, and thus it happened that the summer-children and others got a story book beginning, as all story books should begin, with – once upon a time. 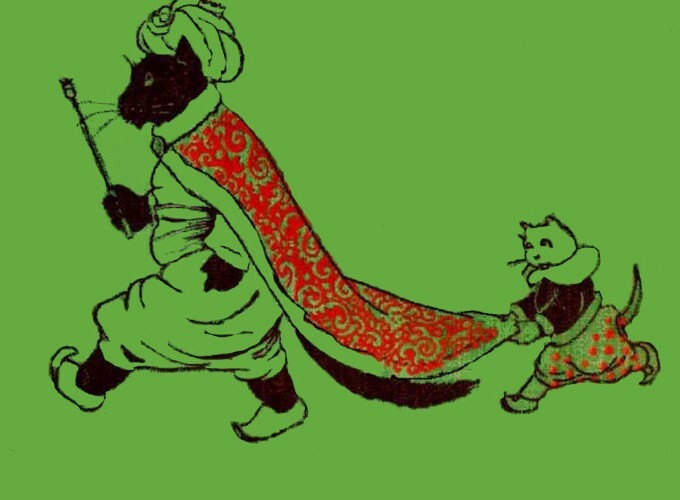 King Grimalkum And Pussyanita; Or, The Cats’ Arabian Nights.